dfcu WiB Manager, Victoria Byenka at the Rising Woman training in Kampala. 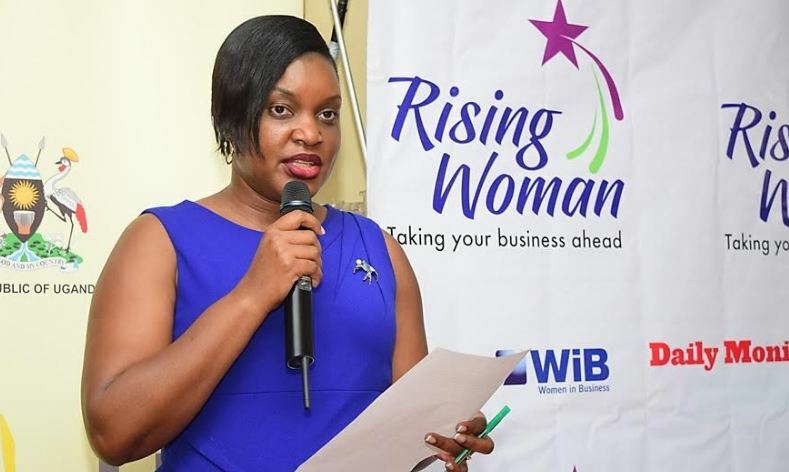 Over 100 women led businesses will be showcasing their products and services at the Rising Woman Expo in Kampala on Friday 16th and Saturday, 17th November 2018. The Expo is a culmination of the Rising Woman initiative that was launched in July 2018 by Monitor Publications Limited’s (MPL) flagship brand Daily Monitor in partnership with dfcu Bank’s Women in Business (WiB) Program and Uganda Investment Authority-UIA to recognize, celebrate and promote a culture of mentorship among women in business in Uganda. According to the Chairlady dfcu WiB Dr. Gudula Naiga Basaza, having over 100 women entrepreneurs in one place presents numerous learning and networking opportunities. “Access to information is one of the major challenges for women entrepreneurs. The Expo will provide invaluable resources for small-to-medium business owners, start-ups and entrepreneurs to share knowledge and move their business forward,” says Dr. Basaza. Since the launch of initiative in July this year over six hundred and fifty (650) women across the country women have been trained in matters of taxation, record keeping, investment licenses, importance of business registration and marketing. This brings to over thirty-five thousand (35,000) the total number of women who have benefited from the dfcu WiB capacity building sessions since inception of the programme in 2007. 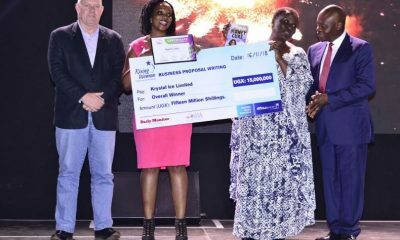 As part of the Rising Woman initiative women entrepreneurs were also invited to submit business proposals for a chance to win cash prizes of up to UGX 30m. The top 3 winners will be recognised and rewarded with UGX 15m, UGX 10m and UGX5m at an Awards dinner to be held on the 16th of November on the sidelines of the Expo. The final 10 will go on an all-expense paid study trip to Nairobi. “The knowledge and networks will be valuable to the women entrepreneurs. It is our hope that when they return, they too will share this knowledge and mentor other women in line with one of objectives of the Rising Woman,” Dr. Basaza added. Ms. Vivienne Yeda Apopo, Director General of the East African Development Bank will formally open the Expo that will take place at Hotel Africana – People’s Space and also officiate at the Awards dinner on the 16th of November, 2018. The Easter holiday is upon us. In the spirit of Easter celebration, Kabira Country Club is organizing a mega Easter Carnival slated for Saturday, April 13th. 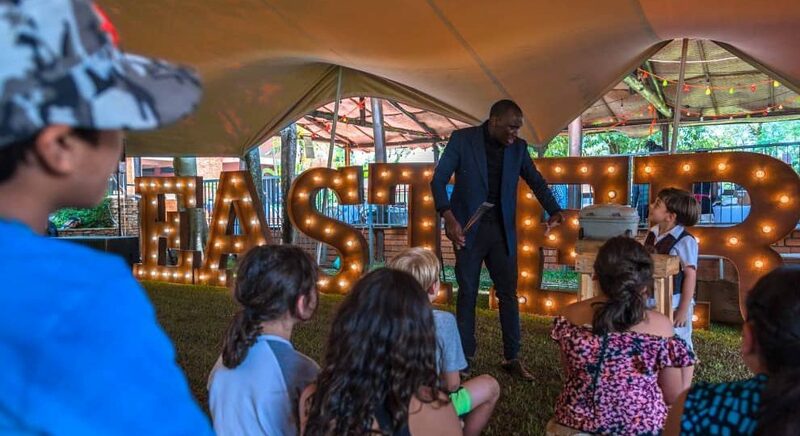 Dubbed “Kabira Easter market”, it will be a fun-filled affair featuring an artisan market with over 100 vendors and lots of entertainment including a live band. 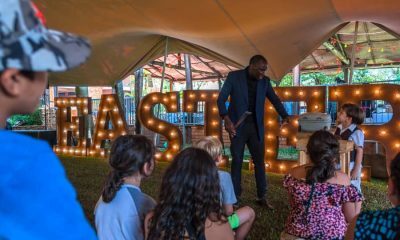 There will also be plenty of kids’ activities like face painting, egg treasure hunt, and full access to a playground fitted with jumping castles, swings and more games. The event is free entrance and gates will be opened mid-morning. With 95 luxurious guest-rooms and exceptional amenities, Kabira Country Club offers a perfect getaway for relaxation. “Whether your stay is for business or pleasure, Kabira Country Club has all you could possibly need in a modern, comfortable hotel, situated in a wonderful location.” Vismay Maniyar, the general manager of Kabira Country Club noted. Mark Hoogendam, General Manager UBC – South Sudan Coca Cola poses for a photo with the local community. 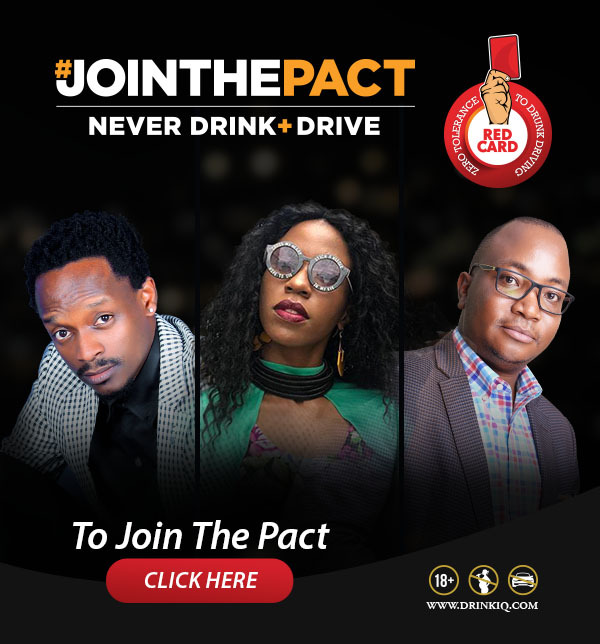 Equatorial Coca-Cola Bottling Company remains committed to the communities of the countries where it operates through a newly launched collaboration with Spain for UNHCR (The United Nations Refugee Agency). The project, known as “Water Assistance for South Sudanese Refugees in Uganda” is designed to ensure access to safe drinking water for South-Sudanese refugees in Uganda. 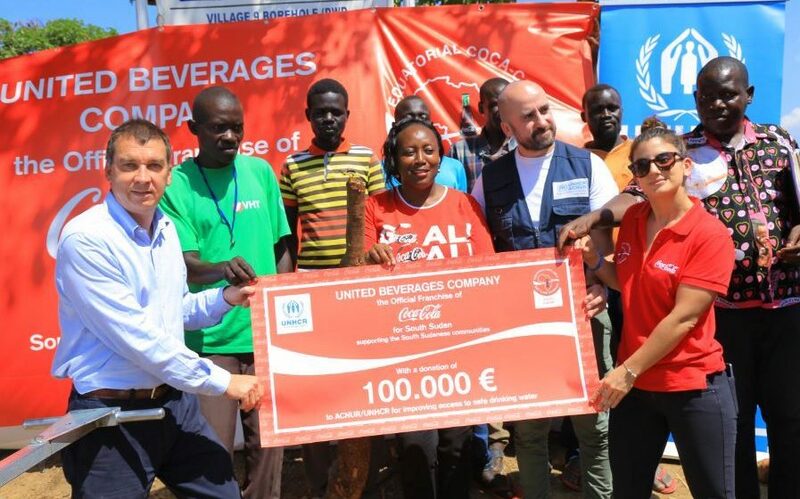 Guaranteeing access to clean water and sanitation services for South Sudanese refugees in Uganda is the driving priority behind the collaboration between Equatorial Coca-Cola Bottling Company and Spain for UNHCR. The project will be carried out in the settlement of Bidibidi, located in the district of Yumbe, west of the Nile River. As the largest camp for refugees from South Sudan, it covers approximately 234 square kilometers. UNHCR and Equatorial Coca-Cola Bottling Company seek to improve the water supply situation at the Bidibidi refugee camp settlement through installing a hybrid system that will ease extraction from one of the existing wells. In total, there are two functional hand pumps, one of them being this deep well where pumping water requires the strength of minimum two adults, meaning the process is strenuous and difficult. This new system will provide clean water to more than 6.500 people, covering a distance of 9km radius from the water site and creating 7 different distribution points, it is estimated that the recommended availability of 20L per person per day when the site is fully operating will be achieved. Having access to clean water and sanitation infrastructure is key to ensure a healthy life. Additionally, clean water availability has the power to encourage gender equality, further education and generate income for people who have been forced to flee their homes as a result of war, persecution and violence. Yet millions of people across the world are deprived of this essential need. The issue is particularly problematic in Southern Africa. The United Nations estimates that Sub-Saharan Africa alone must spend up to 40 billion hours per day collecting water. 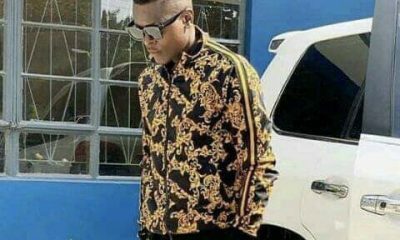 The United Nations has also resolved that all refugees or asylum seekers must have access to safe drinking water. In Uganda, one of the largest countries of asylum in the world, 65.5% of over 1.22 million refugees come from South Sudan, where the conflict started in 2013 caused a massive exodus of civilians to neighboring countries. families to fulfill the arduous task of extracting water from a deep well. Other sources of clean water include tank trucks able to supply 40 m3 of water a day, a measure that is both expensive and unsustainable. “Equatorial Coca-Cola has a long history supporting South Sudanese communities, we began our operations in the country in 2012, and we continue supporting them wherever they are, not only by providing beverages but with our community projects.” Mark Jan Hoogendam, General Manager, Equatorial Coca-Cola in South Sudan (UBC). “Coca-Cola Beverages Africa in Uganda is honored to join Equatorial Coca-Cola Bottling Company as they commission their collaboration with Spain for UNHCR in an initiative dubbed “Water Assistance for South Sudanese Refugees in Uganda” – Maureen Kyomuhendo, Public Affairs & Communications Manager, Coca-Cola Beverages Africa in Uganda. Coca-Cola Beverages Africa in Uganda is already working with REHORE, a local NGO in Uganda to empower female refugees in three camps including Bidibidi under the Coca-Cola 5 by 20 program. 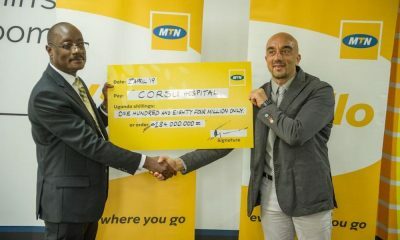 Acting MTN Uganda CEO Mr. Gordian Kyomukama (L) hands over a UGX 184m cheque to improve the quality of life for children with disabilities to CoRSU Hospital CEO Dr. Davide Naggi. Over 80 children and youth with disabilities are set to benefit from free corrective surgery thanks to a partnership recently signed between MTN Foundation and Comprehensive Rehabilitation Services for People with Disability in Uganda (CoRSU). 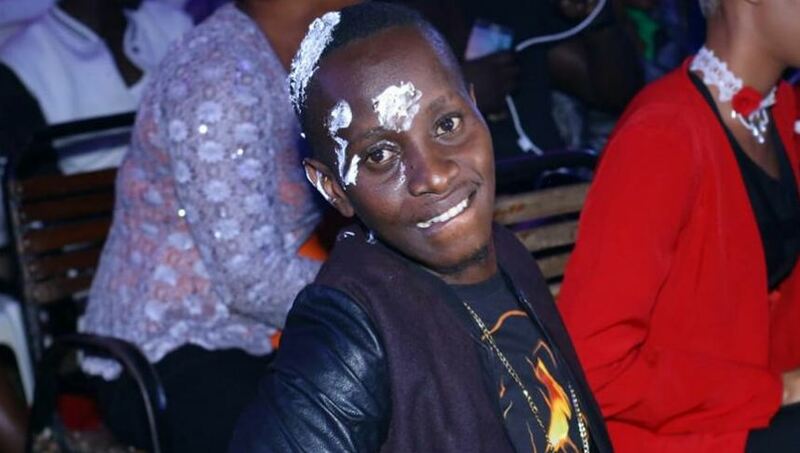 The initial phase of this project, worth over Ugshs 184 million, aims to improve the quality of life for children with disabilities in Uganda, and will see beneficiaries consisting of 60 children and 20 youth drawn from different parts of the country, starting this April. CoRSU is a private local NGO located in Kisubi, founded in 2006 and officially opened in 2009 with a mandate to prevent disability and to restore ability. It has as such made a tremendous contribution towards improved quality of life for children with disabilities through the provision of quality Orthopaedic and Plastic surgery, assistive devices, therapy and Community Based Rehabilitation (CBR). Each year, CoRSU provides surgery to thousands of children and adults to correct or reduce their impairment. “The MTN Foundation and CoRSU partnership speaks into our consistent mandate which is to make the lives of our customers brighter. To regain the ability of mobility is a beautiful gift especially to our youngsters who previously may have had their hopes and dreams shattered by previous circumstances. By removing the barriers that children with disabilities face on a daily basis, we can enable them to realise their full potential,” said the Acting CEO MTN Uganda, Mr. Gordian Kyomukama. 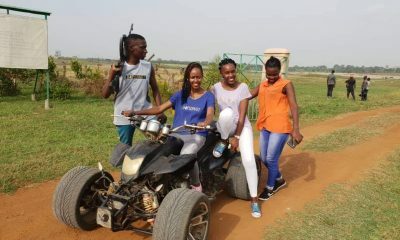 According to a 2014 UNICEF report on The Situational Analysis on Children with Disabilities, quoting the 2002 Uganda Census findings by Uganda Bureau of Statistics, 19% of children with disabilities aged seven to sixteen have never been to school and 39% of those aged 17 to 22 had completed fewer than four years of education. With limited access to education, children with disabilities face an added disadvantage of illiteracy, which can further affect their quality of life. 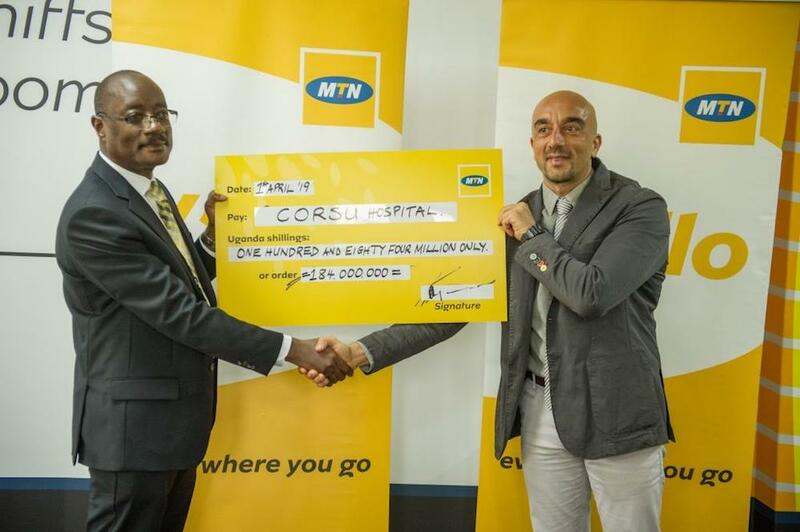 The one-year partnership between the MTN Foundation and CoRSU will also see MTN staff visit the hospital from time to time to spend time with the children, engage in community work and donate various items for the children’s comfort. 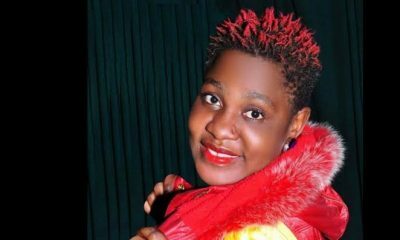 The MTN Uganda Foundation is a non-profit entity that was inaugurated in July 2007 as a vehicle through which MTN Uganda implements its corporate social investments (CSI). The main objective of the foundation is to improve the quality of life in communities across the country by supporting and implementing sustainable projects in Education, Health and other National Priorities.